The Global Experience is a non-governmental organization and worldwide community dedicated to promote intercultural understanding. The network acts globally by giving people a platform for intercultural exchange and local initiatives supporting various educational, environmental and developmental projects in partner countries. Starting with a group of five students in Germany in 2005, The Global Experience works today with an international staff of 44 young volunteers in 17 nations. Moreover, local student groups in Colombia, Poland, Vietnam, Namibia, Belgium and Zimbabwe have worked in schools to promote intercultural learning and give young people access to global learning material by using new media. Making new friends and sharing ideas or getting feedback when working on common projects is part of the specific appeal of the network, as well as gaining insights into the influence of media or stereotypes that do not represent the life of other cultures. 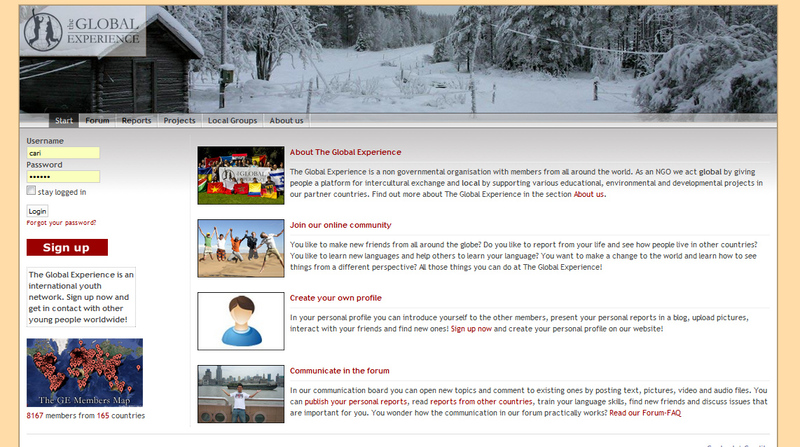 Several thousand registered members from over 150 countries use the The Global Experience opens forum to share insights about daily life and their local cultures with photo and video reports. 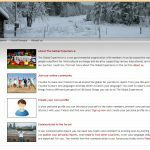 The forum provides members with a unique opportunity to get to know the world from another perspective just one click away. Importantly, regardless of age, gender, color, or culture – each participant is both a student and a teacher.